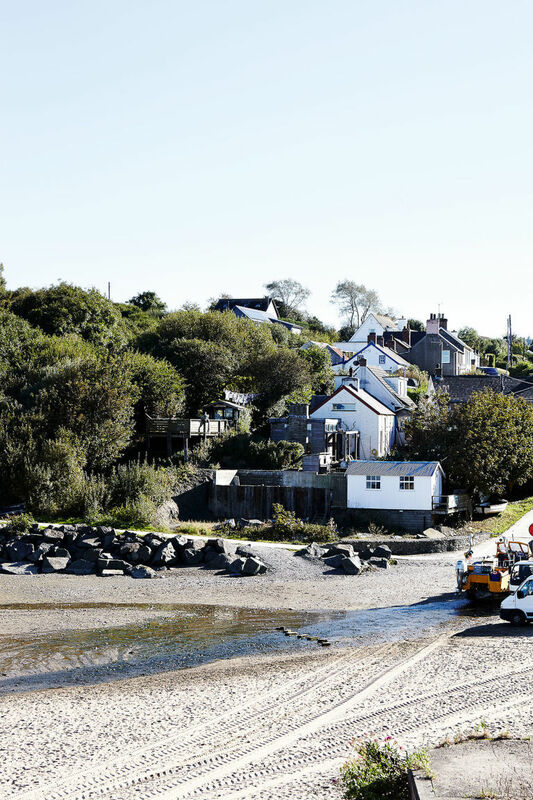 Country Living magazine ventured to a small corner of west Wales to meet Sian at her home in Aberporth. 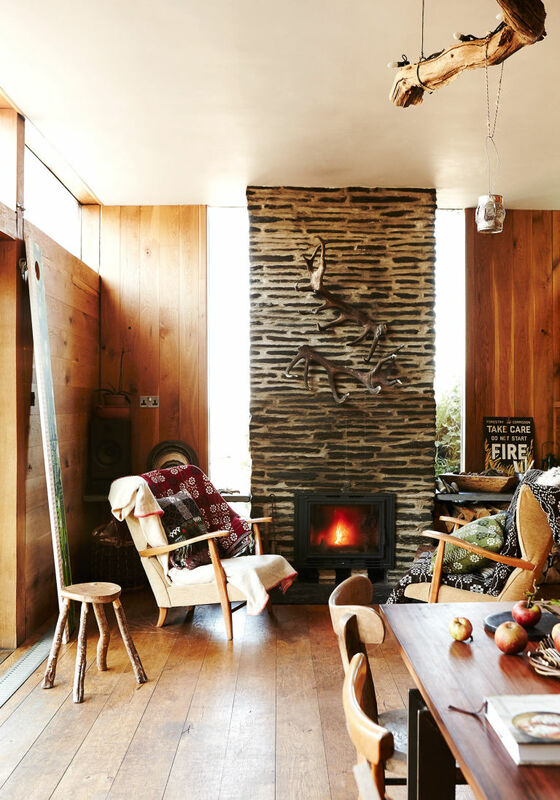 A stone's throw from the beach, the old fisherman's cottage is a small haven in which to relax and escape, its also where most of Sian & James's ideas for fforest interiors were practiced and perfected. 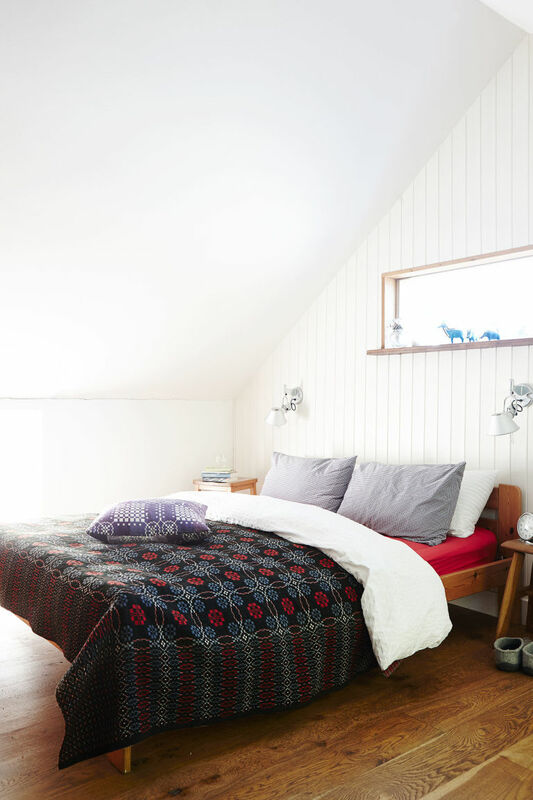 'The first thing Sian Tucker does each morning is look out of the window above her bed. The view out to sea sets her up for the day, whether the weather is crisp and bright or the northeasterly winds are blowing. "In fact, windswept weather chimes with me," she says. "The only drawback is if it's raining and families are camping up the road – I can't relax until I know they're comfortable and dry." By 'up the road', Sian is referring to guests at fforest, the eco camp that she and her partner James Lynch created when they moved to west Wales. 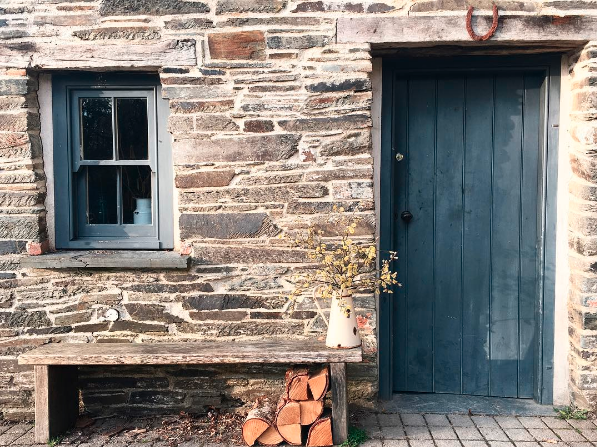 It has since expanded (people now stay in loft spaces, cabins and a farmhouse alongside domes and bell tents), but the original spirit, of getting back to a simpler life outdoors, remains true. It was that very urge to reconnect with nature in a special setting that inspired Sian and James's own escape from the capital in 2005. And it's how they ended up living here, in a village where all roads lead to the sea and their house is the last stop before the beach. When they moved here with their four sons, Jackson, Robbie, Calder and Teifi, the family left behind a very different life in London's Shoreditch. In the Nineties, Sian was a textile designer and illustrator and James ran a design studio. Then he had a zeitgeist moment. Following a hunch, James set about turning empty warehouses into loft spaces, initially for like-minded artists, designers, furniture makers and musicians. Sian is from Wales and the couple already owned this house – then a far more rudimentary version of itself – as a holiday bolthole. "It was where we decamped every school holiday," she recalls. "The boys really loved the freedom of life here." 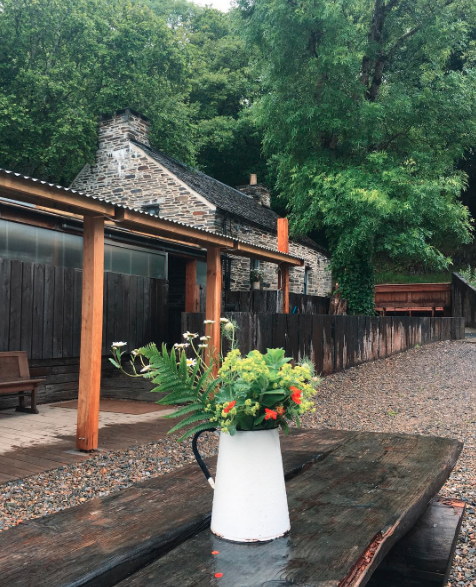 So, a week after returning from New Zealand, they bought a 200-acre farm beside the Teifi Gorge, which became fforest, and made this house their home. 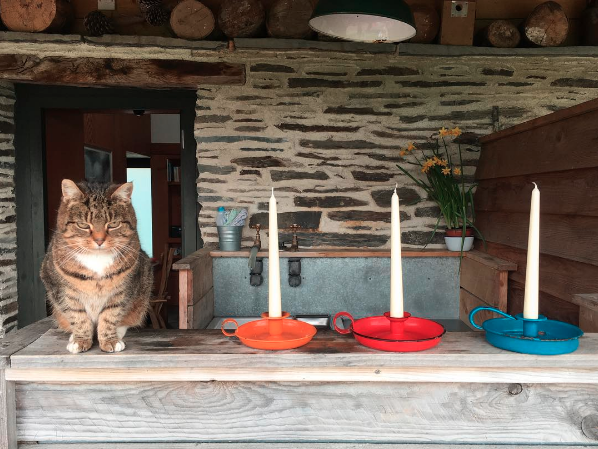 "Back then, the cottage was completely unmodernised, with no central heating," Sian says. James designed the extension, giving them a large living space, which the family has always called the wooden room. His redesign also added the wide, panoramic window in their bedroom that provides inspiring views for Sian each morning. 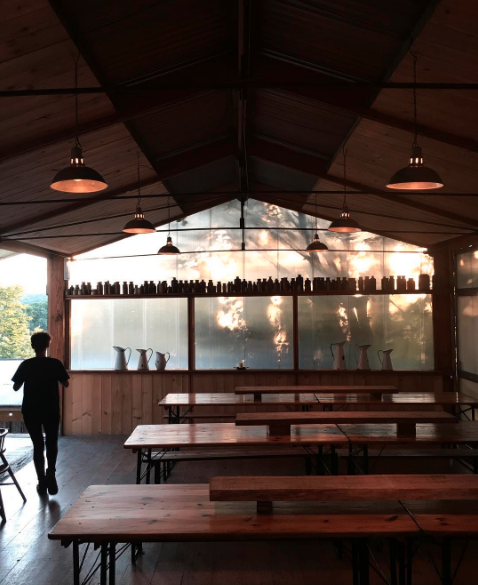 The single-storey building is made from green oak that has mellowed into a pale silver over the years, almost blending with the coastal setting. And its windows – in contrast to the old cottage – look towards the sea to embrace the big views. 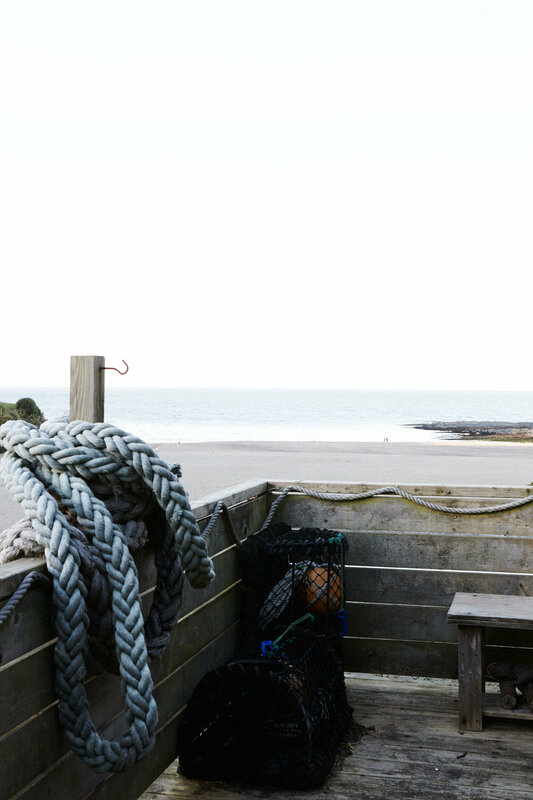 "Because it was a fisherman's home, the old house was all about facing away from the strong seaward winds," Sian says. 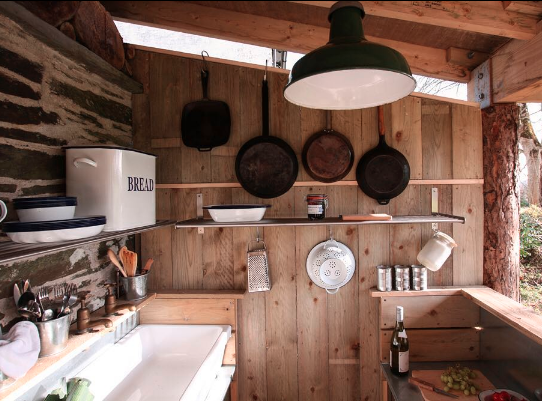 The kitchen sits in the original cottage and is where the couple usually end up at the end of a long day. 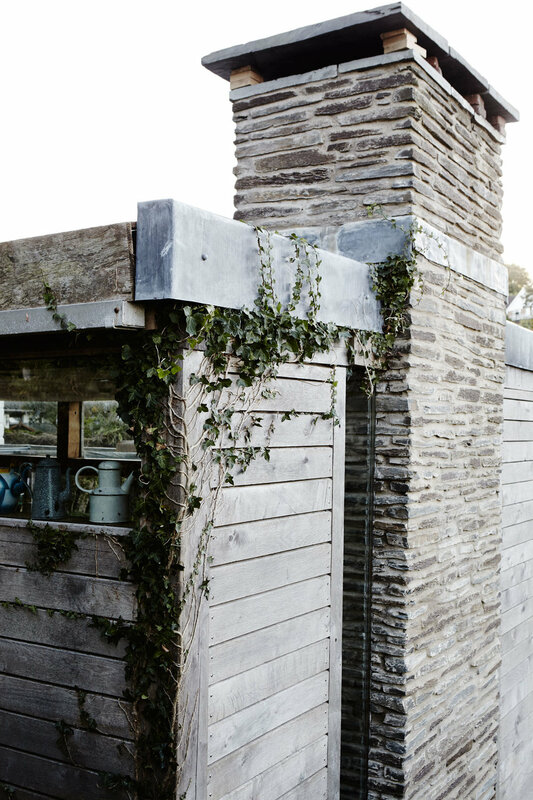 "The stone walls are incredibly thick, which means it's always warm and cosy in there," she adds. 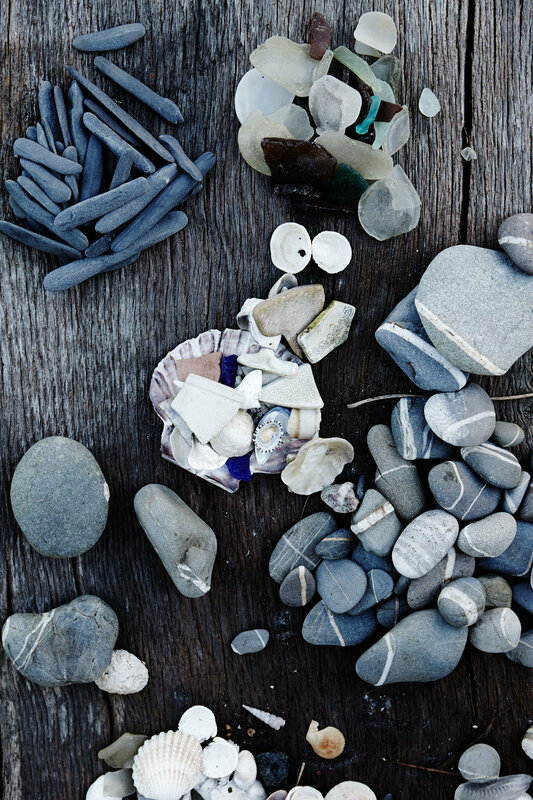 On windowsills, inside and out, sit piles of pebbles in greys and whites that echo the shades of the beach, and of the house itself. "Once you see a lovely stone, it's hard not to pop it in your pocket," Sian says. 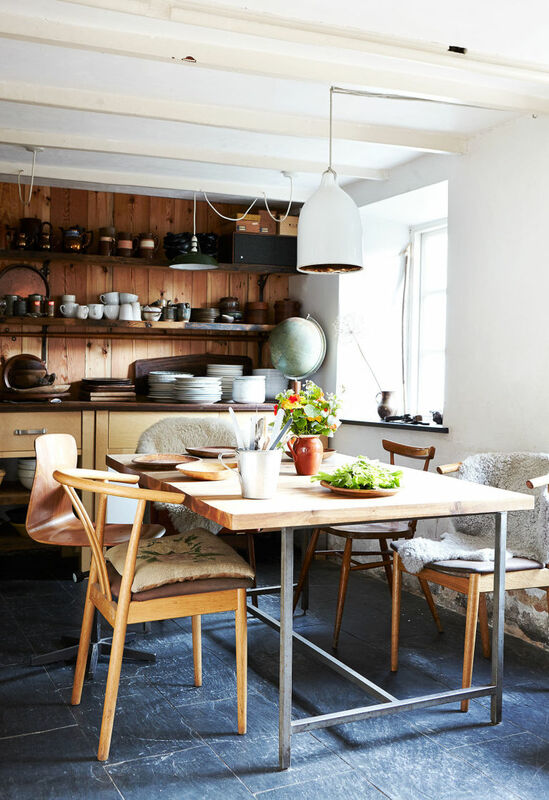 Surfaces are also home to her collections of enamelware, wooden bowls and handmade spoons. With many surfaces clad in pitched pine and slate, plenty of warm Welsh blankets and a 'chandelier' made from a sinuous branch of oak heartwood, the rustic style is reminiscent of the interiors at fforest. "Our house is where we did trial runs, where we experimented," Sian explains. "If it looked OK here, we'd polish the idea and then re-create it for a wider audience." Given Sian's background in textiles (her work has been bought by the V&A Museum and some hangs in the atrium of Chelsea and Westminster Hospital in south-west London), she has always loved traditional Welsh wool blankets: "I used to pick them up at car boot sales, for us and then for our first guests." Eventually, she approached a local mill: "I adapted a vintage motif to make a design that's now used on our own blankets and cushions." Our look is simple. Simple isn't easy. The simpler it looks, the more time and thought has gone into it's development. The few elements have to be so carefully curated to arrive at the final result. One of our favourite elements is our Danish cookware. The finest selection of Copco enamelware outside of Denmark ...possibly. 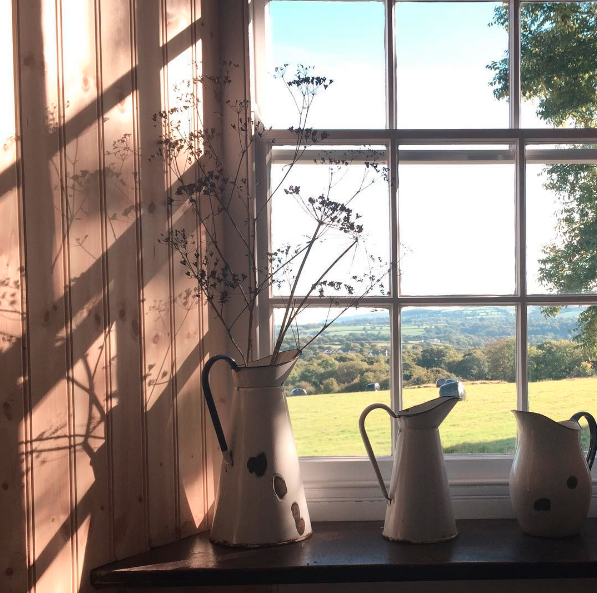 Not confined to the kitchen, our enamelware can be found in the breakfast room, the dining room, even in the bedrooms at Ty Fforest. 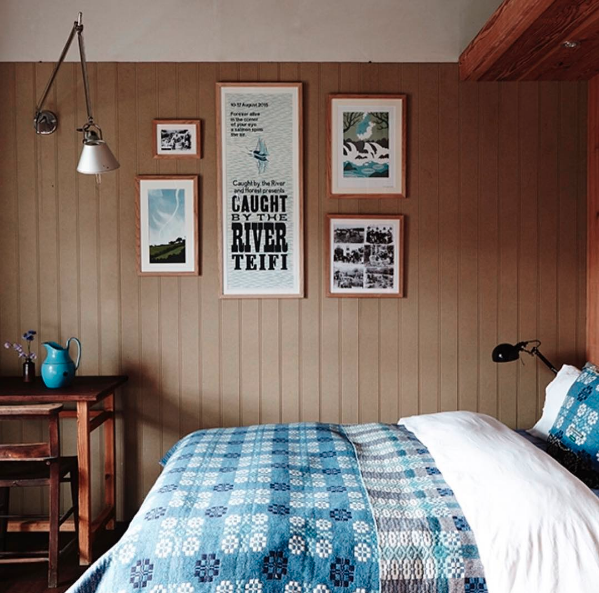 The best dressed rooms in Pembrokeshire ...probably.